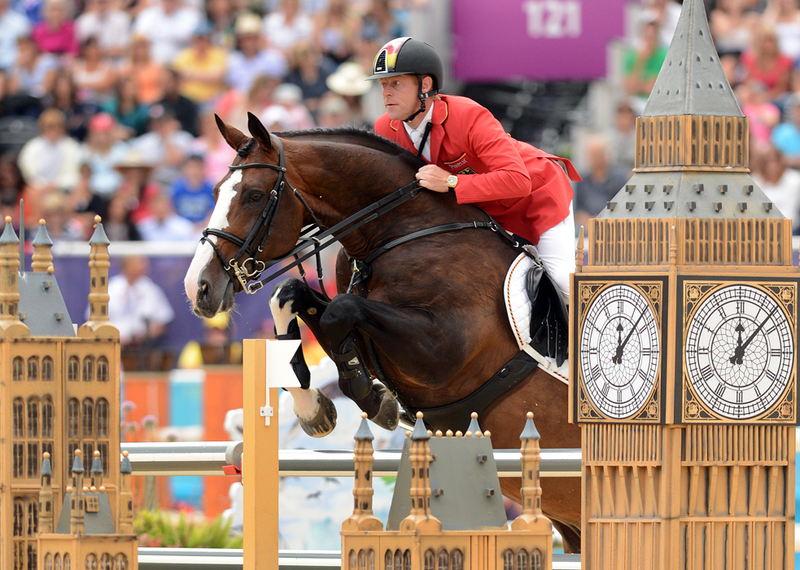 Thirty-seven riders began the first round of the Olympic individual show jumping competition with clean slates. 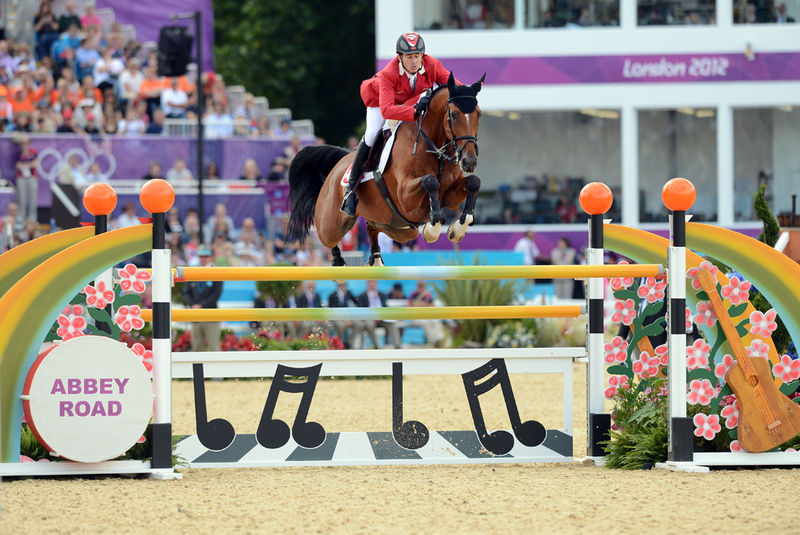 Once they qualified, it didn’t matter how their horses had gone previously. 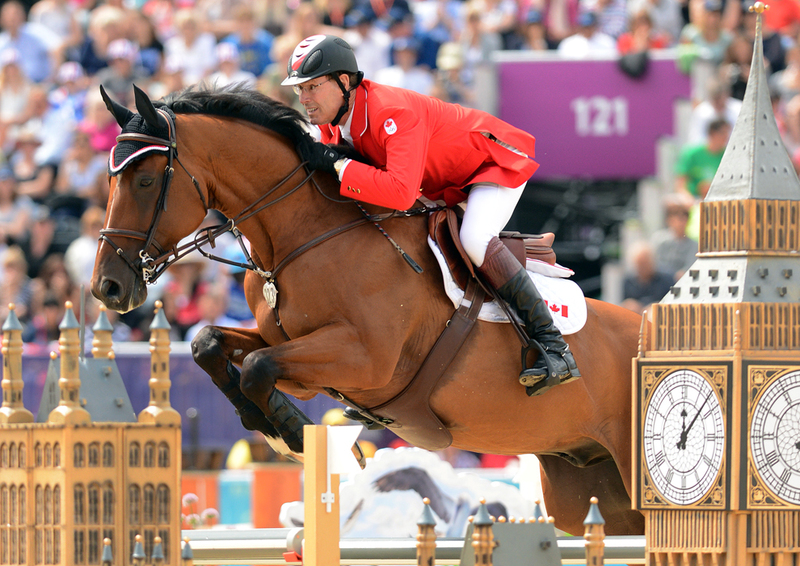 And Switzerland’s Steve Guerdat took full advantage of that fresh start with Nino des Buissonnets. He was the only rider to go clean and within the time over both of Bob Ellis’ enormous tracks, earning him Switzerland’s first gold medal in equestrian in 88 years. 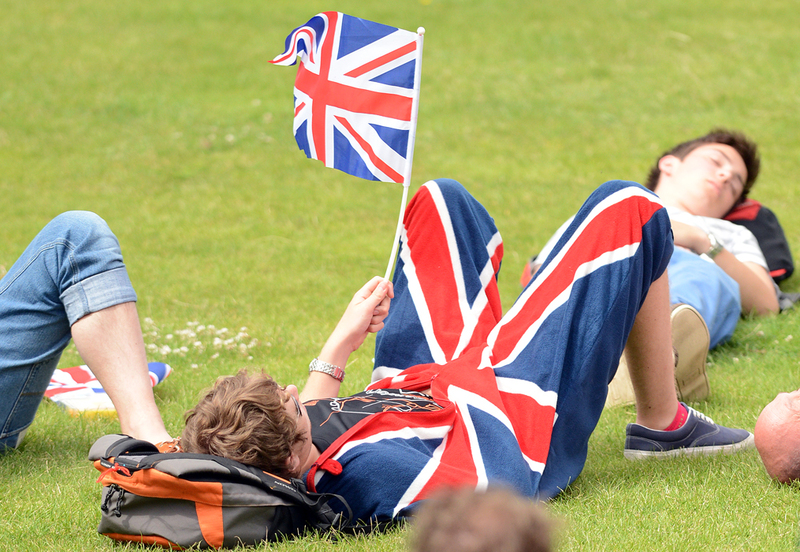 The stands were filled with patriots pushing hard to follow up on the British team gold with some individual medals, but it was not to be. 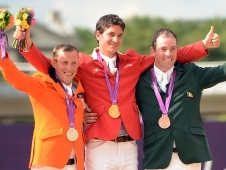 Maybe it was the extra round of show jumping they had to do in order to gain gold, or maybe it was just bad luck, but Ben Maher hit a fence in both rounds with Tripple X, while Scott Brash had one down in the second with Hello Sanctos. 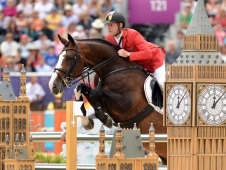 The most heartbreaking rail for the British team was definitely Nick Skelton’s in the second round at fence 8, a 1.6-meter vertical designed to look like the Cutty Sark, the famous ship docked just a few blocks away. 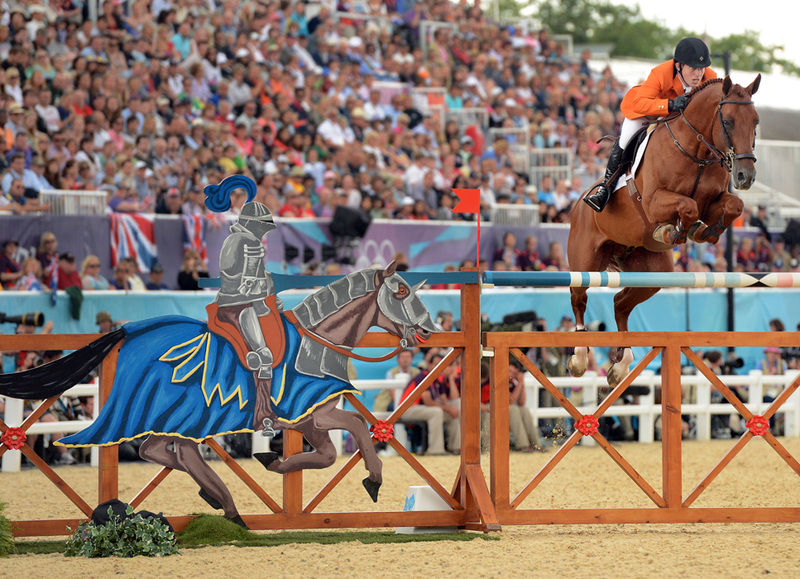 That was Big Star’s first rail of the competition, but it relegated him to a tie for fifth. 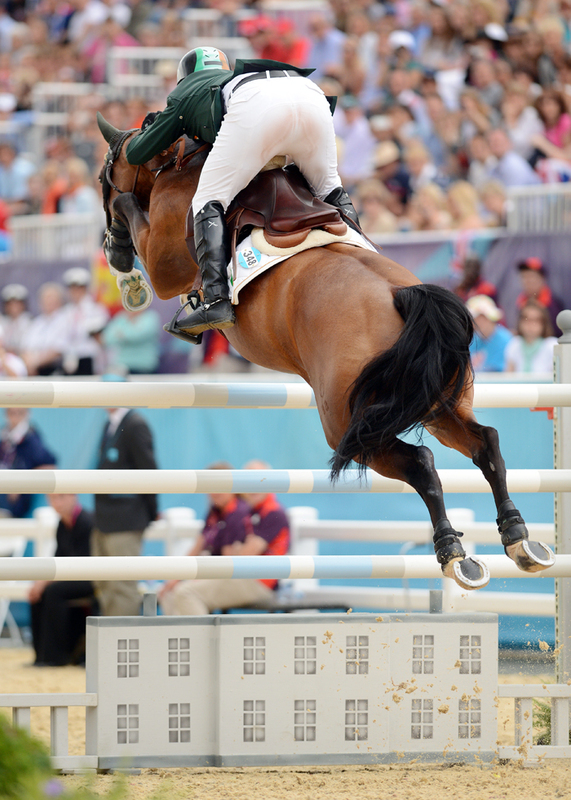 If Skelton had bad luck, then perhaps it was because Ireland’s Cian O’Connor had used up all the good luck available. 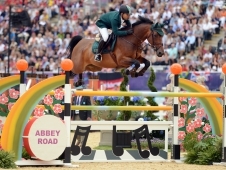 O’Connor was the reserve rider for Ireland—he only got to come to the Olympic Games because Horse Sport Ireland decided not to send Denis Lynch after a hypersensitivity disqualification at the Aachen CHIO (Germany) in July. 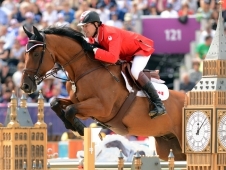 O’Connor also wasn’t supposed to ride in the individual competition. 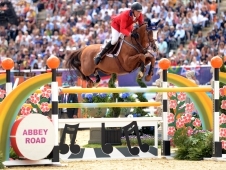 But Sweden’s Rolf-Goran Bengtsson had to withdraw Casall due to an injury to his coronet band, which made room for O’Connor. But even O’Connor ran out of luck at the end. 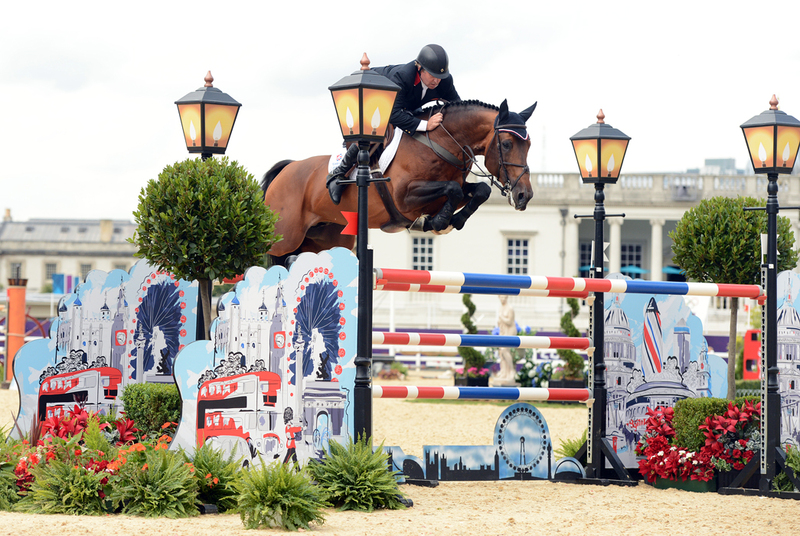 He finished up the first two rounds on Blue Loyd in a tie with the Netherlands’ Gerco Schroder on the aptly named London: 1 time fault apiece. 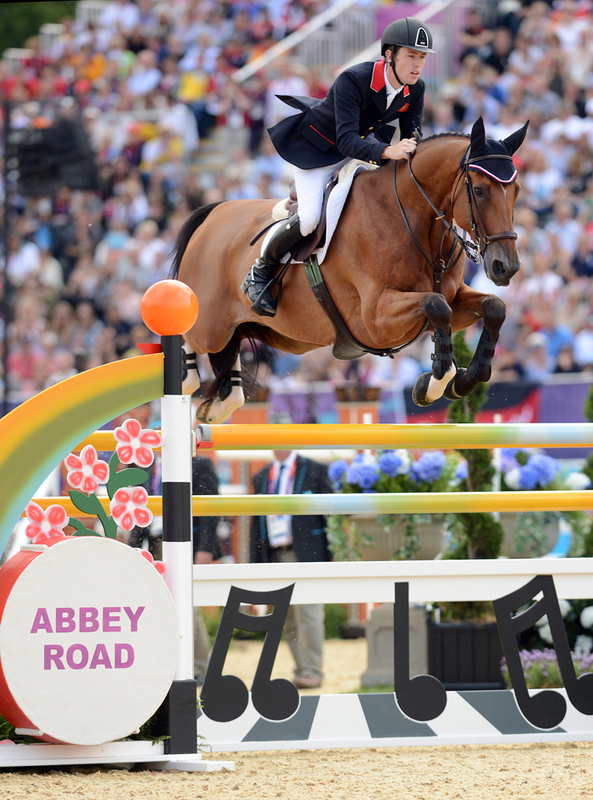 So it was on to a thrilling jump-off for bronze and silver. Schroder went first and jumped a quick, careful clear. 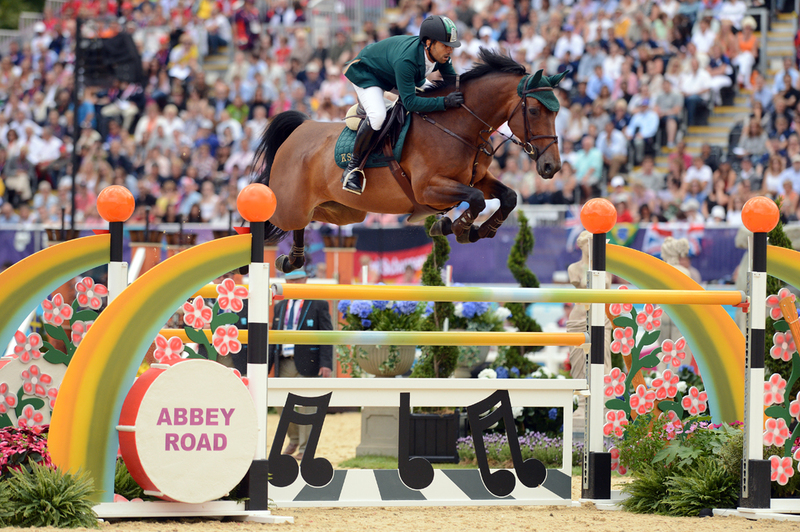 O’Connor went all out, causing the crowd to gasp as he cut corners, sliced fences and galloped for all he was worth. 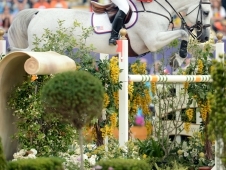 But it caught up to him at the last fence, and Blue Loyd had the front rail down on the enormous oxer. 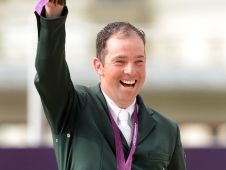 A bronze medal was still a sort of redemption for the Irish rider who first became a national hero in 2004 when he won individual gold with Waterford Crystal, only to become one of its most hated athletes when he lost the medal due to a positive drug test. 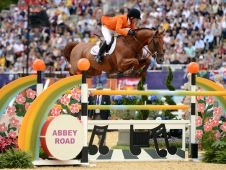 Many riders would’ve been disappointed to place second at the Rolex FEI World Cup Final by .64 seconds to U.S. rider Rich Fellers and Flexible in the Netherlands in April. 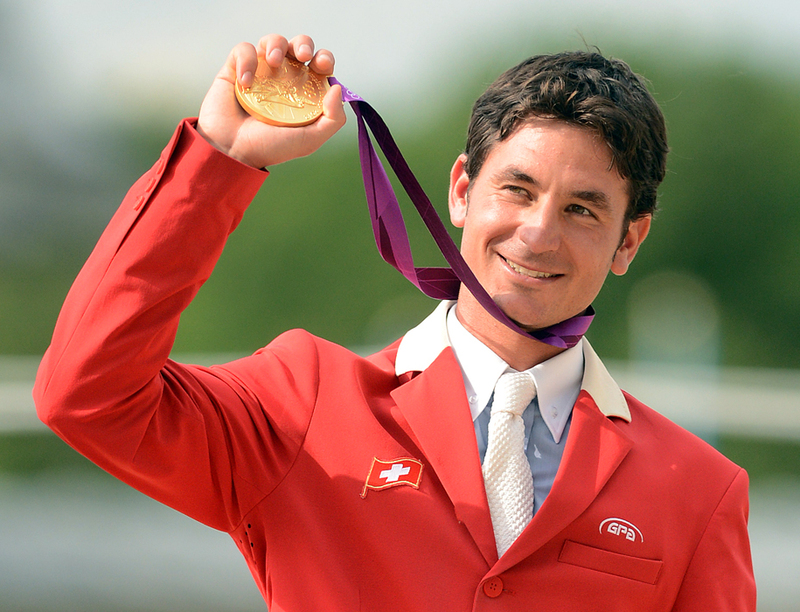 But Guerdat saw it as a sign that “Nino” was the horse to take to the Olympics. 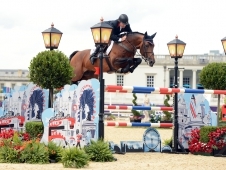 Guerdat has described the 11-year-old Selle Francais gelding (Kannan—Hermine du Prelet) as being on the edge between genius and crazy, but he also knew the horse would do his best to jump the jumps. 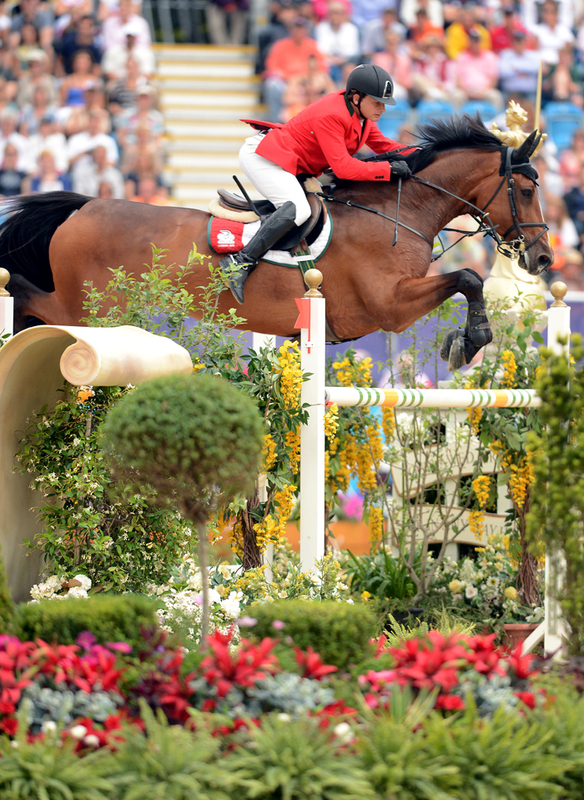 “A horse might be difficult to ride between the fences, but when they want to clear the fence, that’s the most important,” said Guerdat. 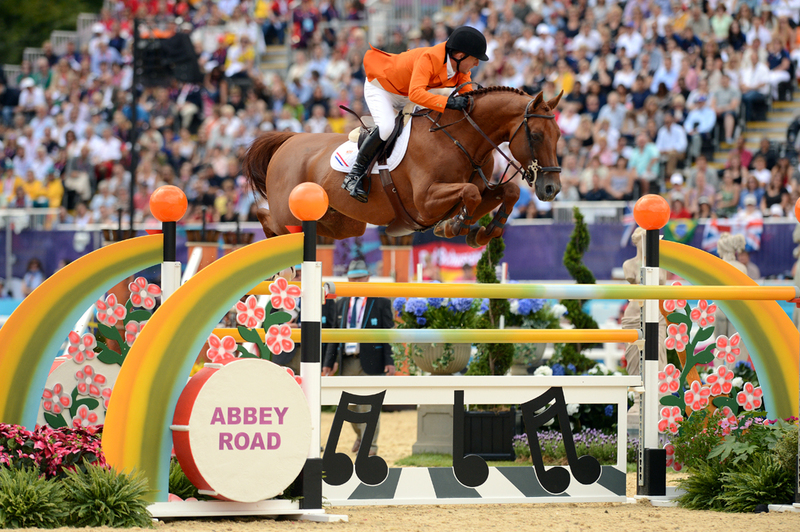 “I feel better on that than on a horse that rides easier between the fences but doesn’t really fight for the jump. 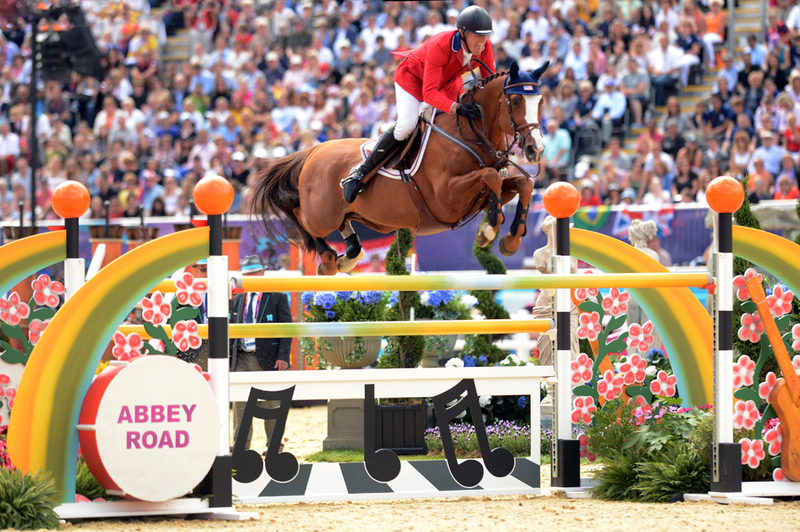 Schroder had London 2012 on his mind five years ago when he first sat on his 10-year-old Belgian Warmblood gelding (Nabab de Reve—Ta Belle van Sombeke, Chin Chin). “At that time I had a great feeling for him. 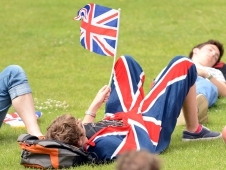 I didn’t know he’d win two medals, but as a joke, we said, ‘OK, we’ll call him London.’ It’s very nice it’s worked out like this,” said Schroder. 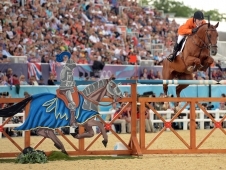 Schroder was the only rider on the Dutch team who didn’t have to put in that extra jump-off round for silver. He was last in the order, and when the Brits went clean while his teammates had rails, he was able to sit that round out. 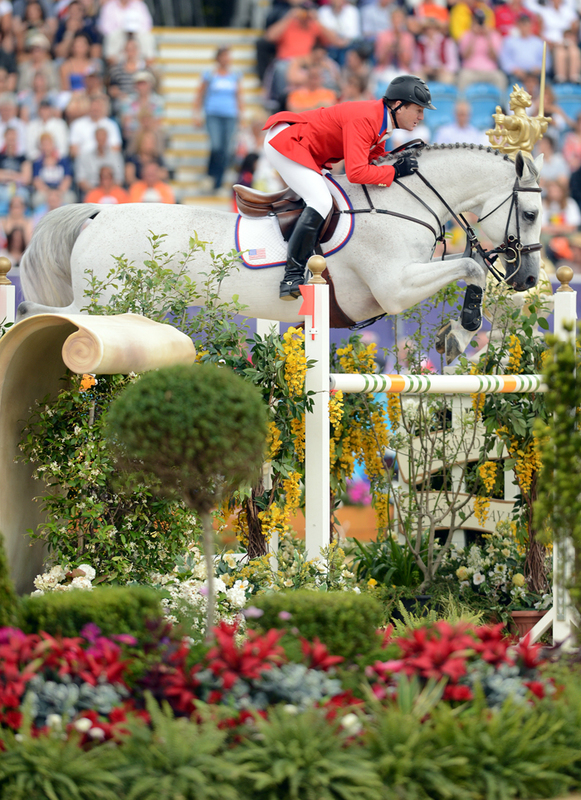 Rich Fellers might not be going home with a medal, but he finished on a positive note by jumping clean over one of the biggest courses he’d ever seen. 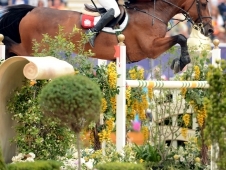 And he couldn’t have been more proud of Flexible, the little stallion with the huge heart who held up to four grueling days of jumping and ended up eighth individually. 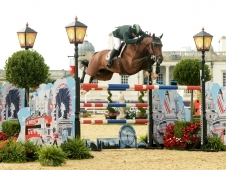 The 16-year-old Irish Sport Horse stallion (Cruising—Flex, Safari) had a rail and a time fault in the first round of the individual competition. 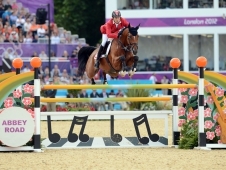 McLain Ward also contested the individual competition, but Antares put a foot in the water and then took down 11C, the last fence in the triple combination, and fence 12, the last fence on course, a 1.6-meter vertical, so they didn’t go through to the next round. 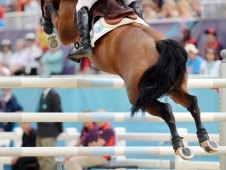 Antares wasn’t the only horse feeling the effects of so many days of jumping. 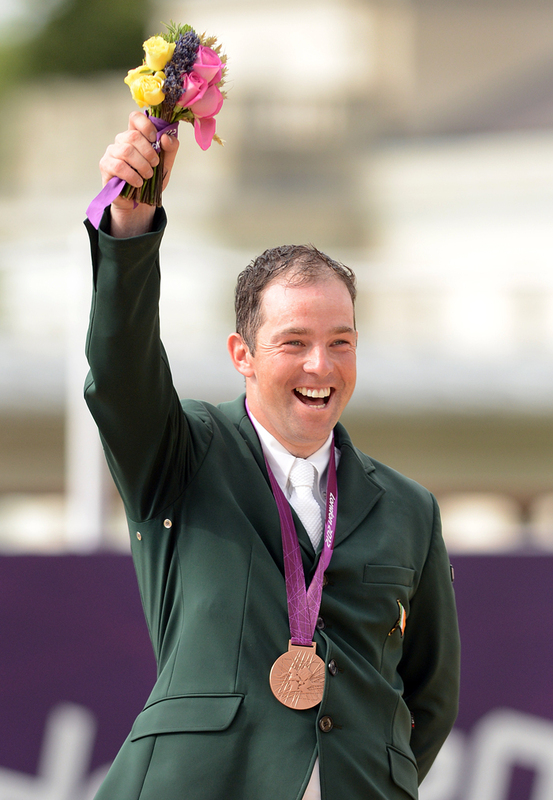 Dutch rider Maikel van der Vleuten pulled up Verdi after he pulled rails at 3A, the first fence in the double and then took fence 4 as well. 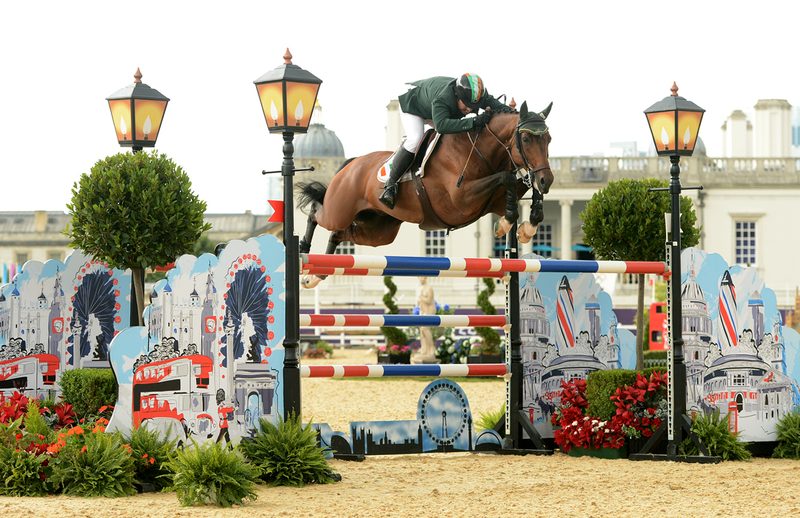 Verdi had been fault free throughout the team competition, although he did have two down in the jump-off against Great Britain. 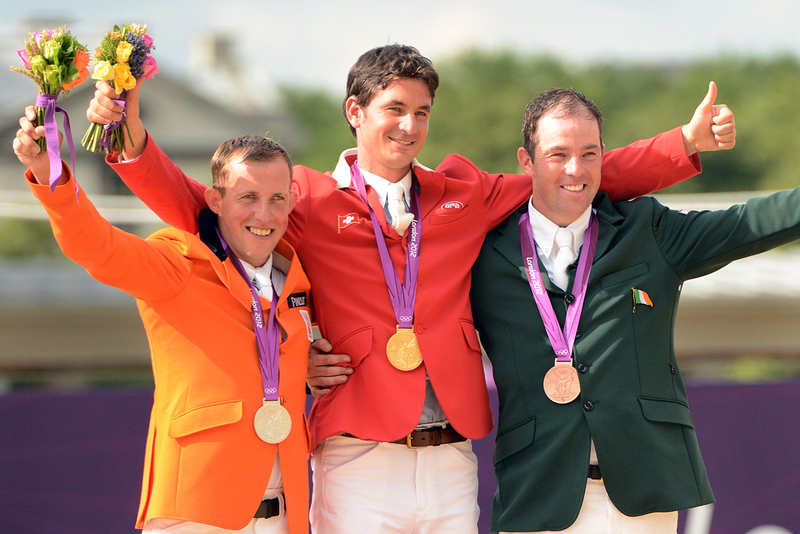 For full results from the individual final, visit the London 2012 website.